Zakir Hussain was always destined for musical greatness: one look at his childhood bedtime routine will tell you that. For years he would come home from school and go straight to sleep, only to be awakened by his father at midnight to rehearse through the night until it was time to go back to school. A little unorthodox by most parenting standards, but just look at the results. By the age of 11, Hussain was replacing his father (Alla Rakha) on tour with the renowned Ravi Shankar; at 28 he played on the soundtrack to Apocalypse Now; now he is regarded as one of the best Tabla players in the world, picking up a Grammy Award in 2009 to prove it. The mutual appreciation between these talented men is clear, but aside from that, one thing shines through: the ease and informality of their working. Long days spent enjoying each other’s company, sharing food and ideas eventually led to an artistic outcome. The audience enjoys the result, but King and Hussain most certainly relish the process. ‘I grew up playing for Indian classical dancers, but there is an existing repertoire that you all learn,’ says Hussain. ‘So for me to compose something entirely new to play with a contemporary ballet was a great challenge. But sitting with Alonzo in my living room, talking about his feelings about movement and rhythm made it so easy to interact with him and come up with ideas. It was a pleasure, a joy. Alonzo King Lines Ballet, Festival Theatre, Nicolson Street, 0131 473 2000, 26–29 Aug, 8pm, £10–£28.50. In their UK debut, choreographer Alonzo King and his Lines Ballet from San Francisco bring a pair of works to the Festival which show the vulnerability and tenderness of his choreography alongside the furious abandon and exhilarating freedom of his company’s contemporary classical style. Sponsored by Lloyds TSB Scotland. Choreographer Alonzo King, a distinctive voice in dance, talks about how he embraces a global perspective on stage. Supported by Gordon Fraser Charitable Trust. 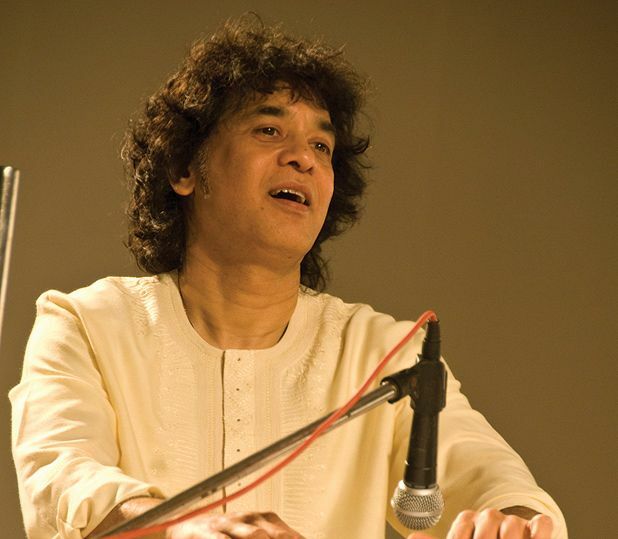 One of the world leading tabla players, Zakir Hussain appears with Alonzo King Lines Ballet in Festival 2010. In this lecture demonstration Zakir offers rare insights into the music and culture of this iconic instrument.